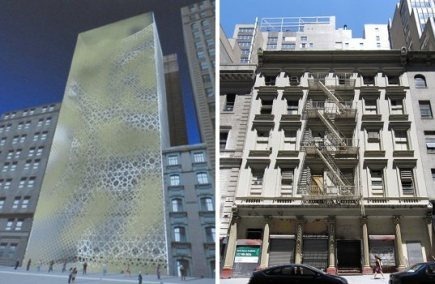 Ground Zero Mosque to be the First LEED certified Mosque in the U.S. The “Ground Zero Mosque” and community center has been one of the hottest topics lately to the extent of taking over the devastating news of the floods in Pakistan. This is a clear indication of the rise of hate and fear that has conquered over many Americans in particular after the propaganda against Islamists in the past few years. Putting this topic out of political context , the latest news is that the project developers are planning to go green and achieve LEED certification. This is remarkable news in many ways. For those not familiar with the term LEED, it is "Leadership in Energy and Environmental Design", according to Wikipedia it is " an internationally recognized green building certification system, providing third-party verification that a building or community was designed and built using strategies intended to improve performance in metrics such as energy savings, water efficiency, CO2 emissions reduction, improved indoor environmental quality, and stewardship of resources and sensitivity to their impacts." 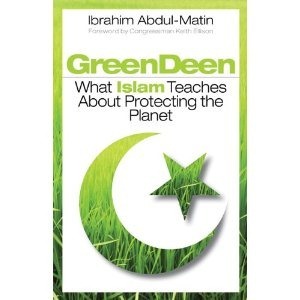 A report on the dailybeast.com by Ibrahim Abdul-Matin author of Green Deen: What Islam Teaches About Protecting the Planet, indicates that the developers of Park51 , the Islamic cultural and community center, are serious about going green and achieving the LEED certification. An architectural bureau has not been assigned for the mission yet, but if they abide by what they promise, this will be the first LEED certified mosque in the U.S.
Park51 will be a $100 million, 13-story glass and steel Islamic cultural center and mosque that will include a 500-seat auditorium, recreation and fitness facilities, a restaurant and culinary school, exhibition space, a library, art studios, childcare services, a mosque, and a September 11th memorial. Originally called the Cordoba House, Park51 was renamed to reflect the center’s commitment to the environment. Especially that the word " Park" is harmless and with no religious indication, it signifies a place for people to have fun in green surroundings. In the light of such open mindedness we hope the leaders in the Arab world will learn and apply environmentally friendly standards to all newly erected buildings and not just aim for height and copy Western iconic buildings.